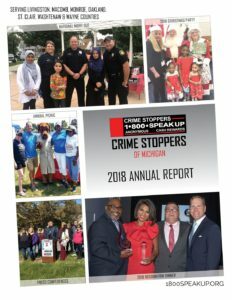 For the past six years, nearly every day we have provided credible information to our 200+ law enforcement partners at the local, state and federal level that can be utilized in their investigations. With each case solved, the safety of our local neighborhoods increases. 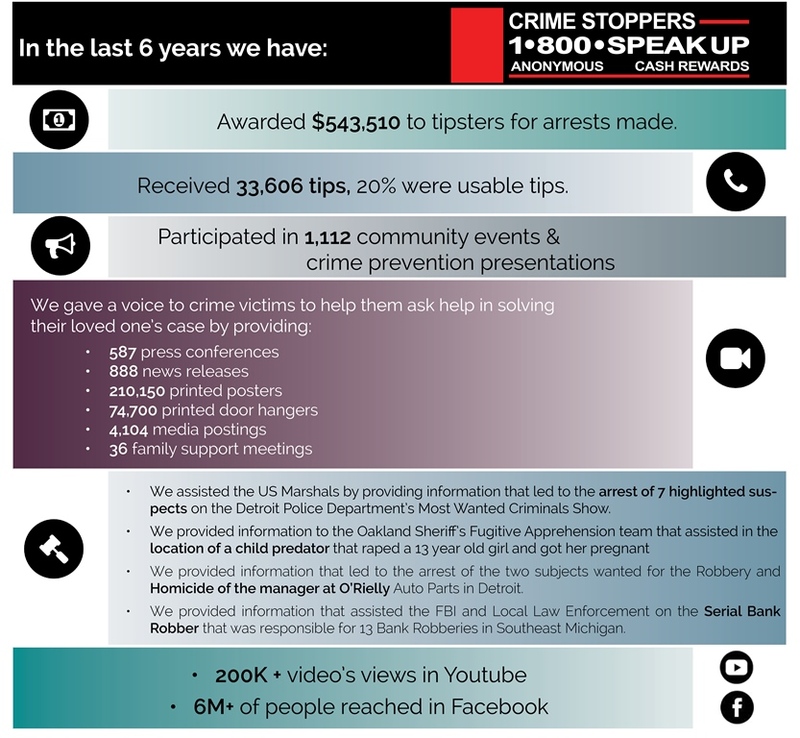 As residents are empowered to actively look out for one another and call Crime Stoppers, a strengthened sense of community responsibility is formed, which deters criminal activity. We cannot undo the damage that has already been done, but we can do our best to prevent more crime by helping law enforcement bring criminals to justice. 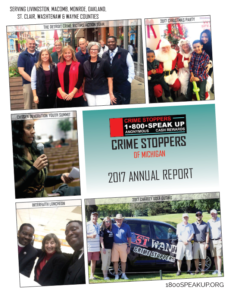 For more information about Crime Stoppers of Michigan and what we do, please check out our Annual Reports.